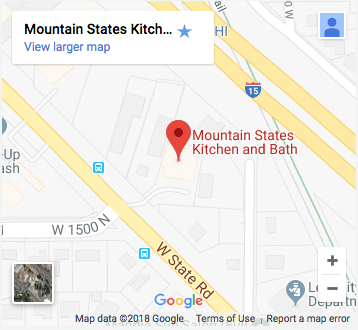 At Mountain States Kitchen & Bath, we are passionate about providing you with the very best, most comfortable, highest functioning bathroom you can get. We believe that any bathroom can see improvement with some simple additions and upgrades. You don’t need a total bathroom remodel or expensive plumbing upgrades to make your bathroom experience a little more luxurious. In fact, today we’re sharing our 5 favorite bathroom accessories for making your bathroom experience feel like a 5-star hotel. Waterproof Bluetooth speakers can range from totally inexpensive to very flashy and fancy. Tiny versions that suction to the inside of your shower door or the edge of a bathtub can be under $20, but you’ll use them all the time. Whether you listen to music, podcasts, or the news radio on your phone, you can make shower or bath time more enjoyable with a waterproof Bluetooth speaker. Turn your relaxing bath into a certified spa session of zen. A bathtub caddy stretches across your bathtub and provides shelf space and support. You can set a book or your favorite beverage there, or even prop up your phone to watch your latest favorite show. It will have you rushing ahead to bath time. Sure, you might like heated tiles or a towel warmer, but in the meantime, a small, inexpensive space heater can make your bathroom feel high-end. Turn it on when you jump in the shower, pointed at your towel from a safe distance. Your bathroom will be toasty and your towel deliciously warm when you step out! Do you sit on the cold, hard shower ledge to shave your legs or rest? Are you sick of leaning your neck at a sharp angle on the edge of the tub? Tub and shower cushions exist to help you feel a little more comfortable in your shower or bathtub. These small upgrades can make a big difference in your comfort. Don’t let the word “fancy” make you think “expensive.” Showerheads are actually very affordable AND easy to switch out yourself as a weekend DIY project. You can get showerheads with various spray settings, or even one with fun LED lights to make your shower a dance party or calming light show. If your bathroom has been feeling a little “blah” lately, try a few of these upgrades or call us at Mountain States Kitchen & Bath for some fresh ideas.